Ginkgo Review | Does Ginkgo Work? Ginkgo Biloba is easily one of the world's most widely-known and used nootropic. If you're the average person who uses ginkgo, you probably don't know too much about the nootropic, beyond the fact that it originates in China. There's a lot more to be known about ginkgo, though. Ginkgo biloba is a tree that is part of the special group of plants and animals known as "living fossils". During prehistoric times, ginkgo trees were once widespread throughout the world, but now only grow in China, and have been used as part of Chinese cuisine and traditional medicine for thousands of years. The nuts of the ginkgo tree are used for dishes such as congee, and are sometimes served at extra-special times like nuptials and Chinese New Year. Ginkgo is one of the most-studied nootropic out there, and new information continues to be released about the effectiveness of ginkgo with each new study. However, the neutrality of some studies in the past has been debated, because they were financed by one of the world's leading marketers of the product. Ginkgo shouldn't be taken by those with blood circulation disorders who are taking other drugs, like aspirin, ibuprofen, or warfarin. It also shouldn't be taken by women who are pregnant or by those on certain kinds of antidepressants. 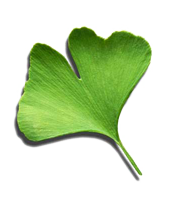 Those who take ginkgo should stop if they see any of the following side effects: bleeding, stomach pain, nausea, diarrhea, vomiting, headaches, restlessness or anxiousness, dizziness, or heart palpitations. How Does Ginkgo Help Brain Function? It is believed that ginkgo works by improving blood flow, even to the smallest capillaries. Ginkgo improves quality blood flow to the brain, which allows the brain to work more efficiently. This allows for the treatment of everything from dementia to low alertness to problems with memory. Ginkgo has many benefits, and it has thousands of years of satisfied consumers to back up its effectiveness. Would you like to know more about which brain power supplements contain Ginkgo? Check out our reviews!